Hello Everyone!!! 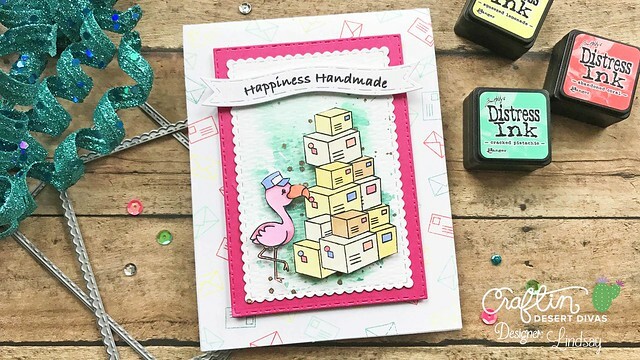 It's Lindsay, from the DT here with you today sharing a card I made using quite a few CDD goodies!! I wanted to use a set I haven't gotten to use in awhile, "Special Delivery", for my card today and I also wanted to use a technique I hadn't gotten to use in awhile, Ink Smooshing. 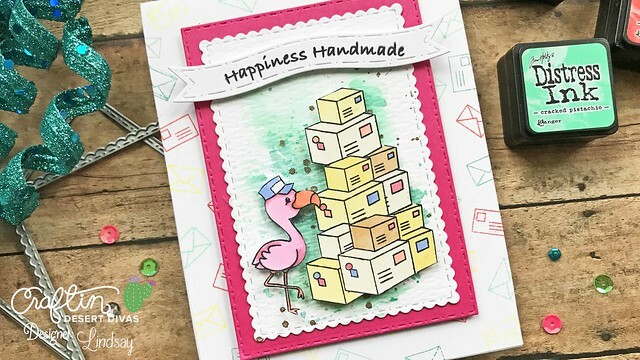 Be sure to watch the full video tutorial below to see how I put the entire card together, along with a bit of ink smooshing!! The first step in making this card, was stamping and masking the boxes to create a tower of boxes. I also stamped the flamingo from the set, both with Memento Tuxedo Black Ink. After stamping, I did a bit of quite coloring with my alcohol markers and then fussy cut both stamped images. I also did a bit of die cutting with the Fancy Frames die set. I used the smaller scalloped rectangle to cut a piece of watercolor paper and the larger plain rectangle to cut some hot pink cardstock. Be sure to watch the full video tutorial to see exactly how I create my ink smooshing background. After I was happy with the way the background looked, I added some fun foam and double sided to the back of my fussy cut images and adhered them to the ink smooshed rectangle. To finish putting this card together, I adhered the scalloped rectangle to the hot pink mat. Then, using the small envelopes included in the set and a few different colors of Distress Ink, I stamped a background on my card base. 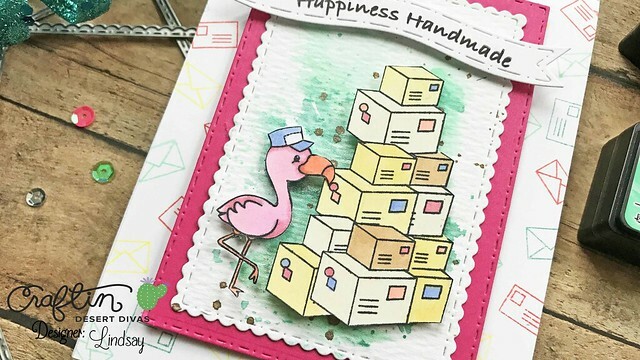 After popping up the hot pink mat onto the card base with fun foam and double sided adhesive, I also popped up a flag banner with the sentiment "Happiness Handmade" onto the top of the finished card to complete it! I hope you all watched and enjoyed the video tutorial above!!! 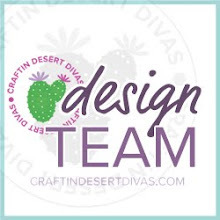 If you are interested in any of the CDD products I used on my card today, they are all linked below! 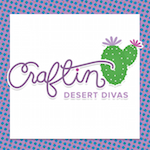 Until next time, Happy Crafting!! Armed and Ready To Party! !